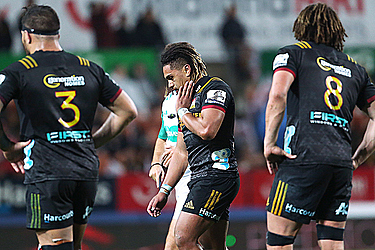 WELLINGTON, New Zealand (AP) — Chiefs midfielder Johnny Fa'auli will miss the Super Rugby playoffs after being suspended for a dangerous tackle in a match Saturday against the Wellington-based Hurricanes in the last round of the regular season. 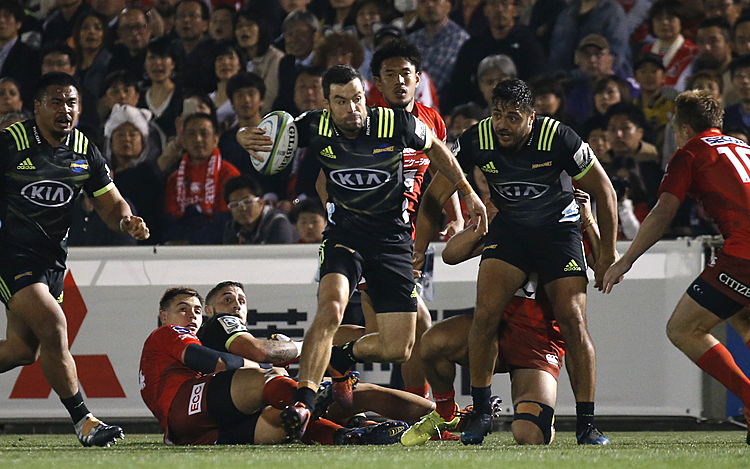 Fa'auli received a red card for the tackle on Hurricanes center Wes Goosen in the 62nd minute of the match at Hamilton. Goosen was forced to leave the field with a head injury and is in doubt for Saturdays' quarterfinal re-match against the Chiefs. A SANZAAR judicial panel on Monday suspended Fa'auli from all rugby until Aug. 31. In fixing a penalty the panel considered Fa'auli's history of similar offenses but also took into account his expression of remorse and early guilty plea.